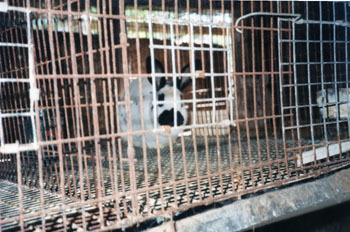 Rabbit Advocacy Group investigated and documented the sale of intact rabbits by Petcetera and the SPCA over several years, exposing the hypocrisy of the SPCA claims of animal welfare when it partnered with one of the largest sellers of intact rabbit, sold intact rabbits itself, and when the abandoned rabbits and their offspring became public nuisances, approved of mass slaughter of the rabbits. RAGS's letter writing campaign, in which all facts have been carefully documented, may be largely responsible for Petcetera announcing that it would stop selling intact rabbits. Go to www.rabbitadvocacy.com to see if Petcetera kept its word and for all the news about rabbit-slaughter in Richmond and Kelowna. Rabbits are unique in Western culture as one of the few animals that are loved as pets, despised as pests, and still bred as product for the meat, fur and lab animal industries. While dogs and cats are allowed to roam freely in our homes, the privileged relationship we have with them as pets has not been extended as fully or completely to many pet rabbits. A Nature Trail to Hell?